KAIZER Chiefs and former Warriors strongman Willard Katsande has said it wouldn't be surprising if Dynamos was relegated from the Castle Premier Soccer League, as they lack quality in playing personnel. Speaking in an interview with Mutare-based Diamond FM, the former national team skipper said while it will be a difficult scenario not to have the Glamour Boys in the country's flagship league, reality on the ground pointed to a sorry state of affairs at the club, which he seemed to attribute to long standing boardroom squabbles and unexpected financial problems resulting in them settling for less quality players. "It's going to be different not to have Dynamos in the league, but at the same time if you look at the way they are performing, the way they assembled their team, their squabbles in camp, you don't expect a team like Dynamos to cry financial problems because their home matches are always packed and you can't tell me that you can fail to pay a player $300 or $100, its unfair. 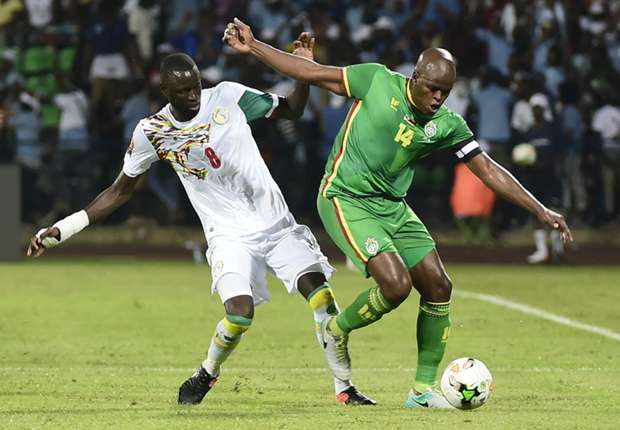 You end up settling for less quality in the end," said Katsande. "If you look at Dynamos this season, they don't have quality, its only maybe Blessing Moyo with all due respect to my fellow professionals, but in terms of playing for a big team like Dynamos, you need a strong heart, character and mental strength. I don't think they have those kind of players. The way I analysed their play, we won't be surprised if they are relegated because the performances are actually a true reflection of their status. "If they are performing well, you can say well, anything can happen, but from the way we are seeing things, it's difficult, it's dog eat dog now and the next four or five games will be a challenge to them. They are playing against teams that are also fighting for their lives. There was a team called Moroka Swallows, one of the big teams in South Africa, but they are not in the league, why, because they didn't perform. So if you don't come to the party this season you are bound to be relegated, you just have to put your house in order," said Katsande. DeMbare resume their survival fight with a tricky tie against Harare rivals Caps United at Rufaro Stadium on Sunday. They occupy the last relegation slot, with 31 points from 28 games and time is running out for them to escape from the red zone. Should they win against Caps United, DeMbare will move four places up the table to 11th. They will leapfrog Yadah, Bulawayo Chiefs and Nichrut, who are all tied on 32 points from 29 games. They would also dislodge Chapungu, who are on 33 points. Dynamos are winless in five games and hard-pressed for a victory to appease their restless fans. They last won on September 2, beating Bulawayo City 2-1.